Palmer’s® Coconut Oil Formula™ products contain ethically and sustainably sourced Coconut Oil and Tahitian Monoȉ, infused with Tiaré flower petals. These raw, natural ingredients deeply hydrate, repair damage and give hair incredible shine. 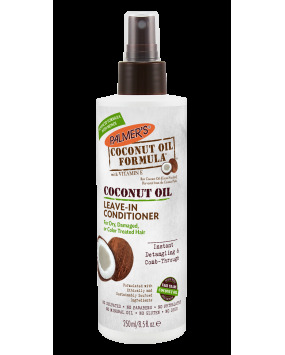 Palmer’s® Coconut Oil Leave In Conditioner instantly detangles, putting an end to tugging and pulling. With a few sprays hair has instant slip and silkiness for easier comb-through and styling. Hair nourishing emollients fortify hair, control frizz, reduce split ends and give hair healthy-looking shine. 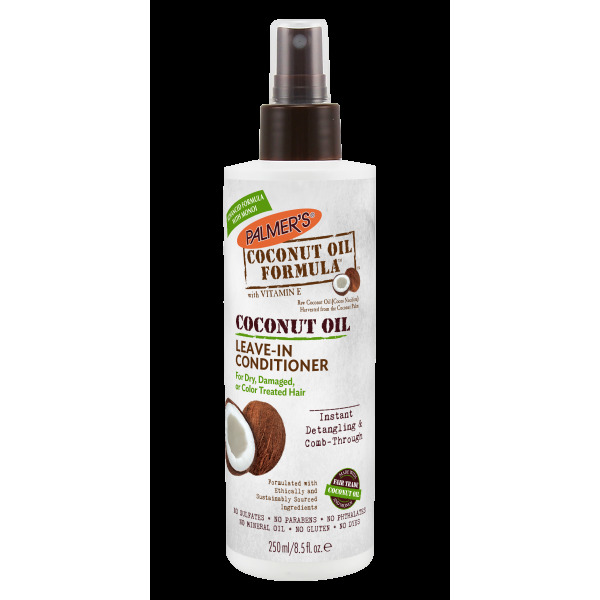 Spray Palmer’s® Coconut Oil Leave In Conditioner throughout towel dried or damp hair. Comb through to ends to coat hair with conditioning proteins. Do not rinse. Style as desired. Can be used throughout the day as needed. For optimal results use with Palmer’s® Coconut Oil Formula™ daily maintenance and styling products.